The idea for Diversify Dietetics was borne out of a need that our co-founders and registered dietitian nutritionists (RDNs), Deanna Belleny and Tamara Melton, did not see was being met: a community to attract, encourage and empower students and young professionals of color who were seeking careers in the field of nutrition and dietetics. To increase diversity in the field of nutrition by empowering students and young professionals from underrepresented minority groups to join the next generation of nutrition experts. Wait... aren't there already Members Interest Groups (MIGs) for people of color? While there are several phenomenal nutrition organizations dedicated to increasing diversity for specific underrepresented minority groups, there was no one organization that was inclusive of all ethnic and racial groups. Additionally, many of today's students and nutrition professionals can be found connecting on social media, and there was no dedicated community focused on increasing diversity in the nutrition profession. The goal is for Diversify Dietetics to fill in those gaps, and complement initiatives of MIGs. Hi! I'm a Texas girl who loves nutrition, public health and tacos! I completed my bachelors degree, dietetic internship, and masters degree in Houston, Texas and have loved working in such a diverse city (ranked as the most diverse city in the nation but who's counting!) Since my dietetic internship I noticed that the nutrition profession is not particularly diverse. It's quite the opposite, if we're being honest with ONLY 9% of RDNs and NDTRs identifying as non-white. This is in stark contrast to the shifting demographic of the U.S. We've got to do better and Diversify Dietetics is here to help! Get ready for the next generation of diverse nutrition experts! You can reach me at deanna@diversifydietetics.org . Hey there! I'm a mom and wife from Atlanta, Georgia. I specialize in nutrition informatics (a.k.a. health IT). Ever since the first FNCE I attended as an undergrad, I've noticed the very apparent need for more nutrition professionals of color. As an educator and administrator, I have seen the difference that a supportive community and access to resources can make in the success of a student. As a professional, I've seen that diverse teams lead to better outcomes for the patients and clients that we serve. I'm excited to create and participate in a space where we can improve diversity and strengthen the nutrition profession! Tessa is the founder and principal of Taste Nutrition Consulting. Tessa is a professionally trained Chef and Registered Dietitian working as a consultant in the food and nutrition industries. She is passionate about providing medical nutrition therapy through culinary applications for clients in the form of fun, hands-on cooking classes and lectures. Tessa's interests also expand into food writing. She has been published in Food & Nutrition Magazine as well as their online publication, Stone Soup. Tessa looks forward to teaching and empowering clients to reach their personal nutrition goals through flavorful culinary nutrition interventions, because she believes there's no substitute for good taste. She is currently living and working in South Korea. Follow her blog at Taste Nutrition Consulting. You can also follow Tessa on Instagram, Facebook, and Twitter. Rebecca is a registered dietitian nutritionist, certified exercise physiologist, author of the book Body Kindness, and host of the Body Kindness podcast. Through her weight-inclusive counseling practice, she helps people make peace with food, find the joy in exercise, and create a better life with workable goals that fit individual interests. Central to all her work, Rebecca aims to develop self-compassion in place of shame by rejecting the rules of diet culture and the pervasive myth that to achieve better health one must lose weight. She lives in Washington, D.C., where she was recently recognized as one of ten “Supermom” entrepreneurs in the Nation’s Capital. You can follow Rebecca on Instagram, Facebook and Twitter. Jessica is a Registered Dietitian and Certified Diabetes Educator with a passion for helping people transform the way they eat and make peace with food. She is the co-author the 28-Day Plant-Powered Health Reboot and A Diabetes Guide to Enjoying the Flavors of the World. As the co-founder of the healthy living website, Food Heaven Made Easy, Jessica provides evidenced-based nutrition tips and tricks for living a nutritious life. When she is not counseling patients on nutrition therapy for wellness and chronic disease management at the University of California San Francisco, Jessica co-hosts the Food Heaven Podcast, which was named New & Noteworthy by iTunes in 2016. You can follow Jessica on Instagram , Facebook, and Twitter. Wendy is a Registered Dietitian/Nutritionist and co-author of the 28 Day Plant-Powered Health Reboot. She is passionate about educating communities on plant-based eating, in ways that are accessible and culturally relevant. Working as a clinical dietitian in a community clinic in Port Chester, New York, Wendy focuses on disease prevention and management. She uses an integrative and individualized approach towards nutrition, health, and well-being. Wendy is also the co-founder of Food Heaven Made Easy, a multi-media platform for people who want to learn how to prepare plant-based meals that don't require hours of laboring in the kitchen. You can follow Wendy on Instagram , Facebook, and Twitter. Marina is a nationally recognized bilingual registered dietitian, diabetes educator, and spokesperson. She is a certified diabetes educator and founder of Nutrichicos, a bilingual nutrition practice specializing in children and family nutrition based in Miami. Marina is a member of the pediatric endocrinology team at Joe DiMaggio Children’s Hospital, where she provides comprehensive diabetes education to children and families and instructs patients on the latest diabetes-care technology advances. Marina lives with type 1 diabetes herself and loves teaching kids and families how to thrive with type 1 diabetes. Marina is a frequent speaker at local and national conferences on topics such as infant nutrition, Latino health issues, and diabetes. Marina is originally from the border town of El Paso, Texas, and Cd. Juarez, Chihuahua, Mexico. You can follow Marina on Instagram, Facebook, and Twitter. 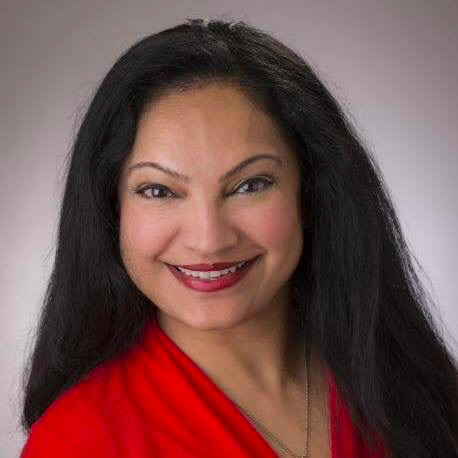 Dr. Sharma is Associate Professor in the Department of Epidemiology, Human Genetics and Environmental Sciences, and a faculty member of the Michael & Susan Dell Center for Health Living at the University of Texas School of Public Health in Houston. Dr. Sharma is a behavioral epidemiologist with specific interest designing sustainable, community-centric interventions to address food insecurity and childhood obesity in underserved populations and has a robust research program in this area. She is co-founder of Brighter Bites, a non-profit organization that channels reclaimed produce with hands-on nutrition education using a food co-op concept to low-income children and families. Dr. Sharma has a PhD in Epidemiology, masters in physical therapy and is a registered dietitian. After working as a clinical dietitian for several years, Kristen began her career in healthcare management as inpatient clinical nutrition manager of a large regional healthcare facility. Currently, she serves in the area of population health in Baton Rouge, LA in an effort to improve access and quality of care to all people. She is passionate about public policy, population health, and cultural competency in dietitians and healthcare professionals to improve engagement and long-term success of our profession. Alissa is a nationally recognized and award-winning registered dietitian nutritionist and the founder of Alissa Rumsey Nutrition and Wellness. Alissa specializes in Intuitive Eating, body image support and disordered eating recovery from a Health at Every Size Perspective. Alissa's expertise is regularly featured on television, online, and in print. 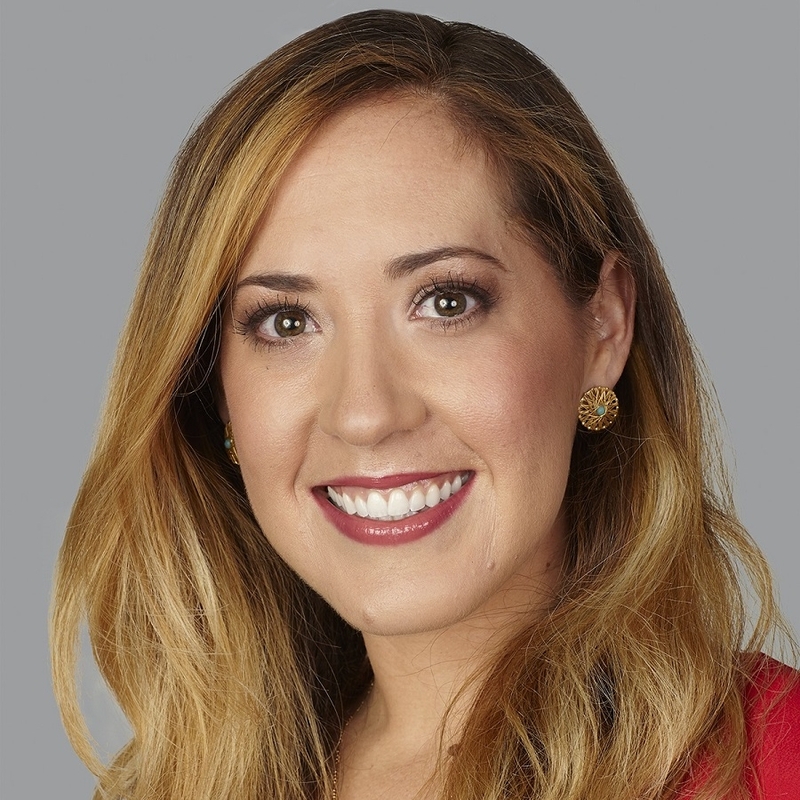 She is a monthly contributor to US News and World Report and has appeared in over 100 media outlets including NBC Nightly News, CNN, ABC News, SELF and Women's Health. In 2017 she received the Media Excellence award from the New York State Academy of Nutrition and Dietetics. Alissa earned dual Bachelor of Science degrees in Dietetics and Exercise Science from the University of Delaware and a Master's of Science degree in Health Communications from Boston University. In her spare time, Alissa can be found traveling to far-off countries, and, as a self-proclaimed "foodie," exploring the expansive New York City food and restaurant scene. You can follow Alissa on Instagram, Facebook and Twitter. Cordialis is an internationally recognized Registered Dietitian Nutritionist and media spokesperson for the Academy of Nutrition and Dietetics. A firm believer in the positive impact of culturally relative messaging for health outcomes, she is the founder of the African Pot Nutrition, a global nutrition practice aimed at closing the gap in health disparities through evidence-based and relatable diet and lifestyle guidance for people of African descent. Also serving as a Regional Nutrition Manager for a multi-national contract management company, Cordialis has seen first hand the impact that registered dietitian nutritionists have in improving health in various settings and across the spectrum of life. Cordialis has a Masters in African Area Studies (Emphasis Public Health) and is a regular contributor to various media outlets. Follow her on Instagram and Twitter. Vandana is a registered dietitian nutritionist, certified diabetes educator and owner of a successful private practice in the Los Angeles area. She is also a media spokesperson for the Academy of Nutrition and Dietetics. She has over two decades experience and specializes in diabetes, eating disorders, food allergies, vegetarian nutrition, and family nutrition. Vandana frequently speaks and writes to a wide range of audiences about health and wellness, nutrition and disease prevention. As a National Spokesperson for the Academy of Nutrition and Dietetics representing one of the largest media markets as well as due to her specialty nutrition areas (Diabetes, Food Allergies, Vegetarian Nutrition, Wellness), she is a valuable resource for expert commentary. She has completed hundreds of media interviews and is frequently quoted in print publications as well as online media. She currently serves as a coordinator for the Long Beach, California chapter of the American Association of Diabetes Educators. Vandana loves serving as a mentor to current and future dietitians and regularly speaks to students interested in the field of nutrition and dietetics. You can follow Vandana on Facebook, Twitter, and Instagram. Constance is an award-winning registered dietitian, certified diabetes educator, and former spokesperson for the Academy of Nutrition and Dietetics. She is the author of the Diabetes Guide to Enjoying Foods of the World; The African American Guide to Living Well With Diabetes, and Eating Soulfully and Healthfully with Diabetes. Over the course of her career, Constance has established herself as an expert in nutrition, diabetes, and the cultural issues that impact the health and health care of people of color. Her work has appeared in books for health professionals and health care consumers, and she has been a featured expert in dozens of national media outlets. She also is a regular contributor to Today's Dietitian, also serving on the magazine's advisory board, and to BlackDoctor.org. You can follow Constance on Instagram, Facebook, and Twitter. Mikal is a finance professional that has spent the past 7 years working in the oil and gas sector. He is a recent Harvard Business School admit that is dedicated to making an impact, and helping to diversify leadership teams across an array of industries. Mikal has seen first hand the benefit of a diverse organization after participating in Management Leadership for Tomorrow, and holding leadership positions in various affinity organizations in his workplace. His broad experience will bring a unique perspective to the Diversify Dietetics team.